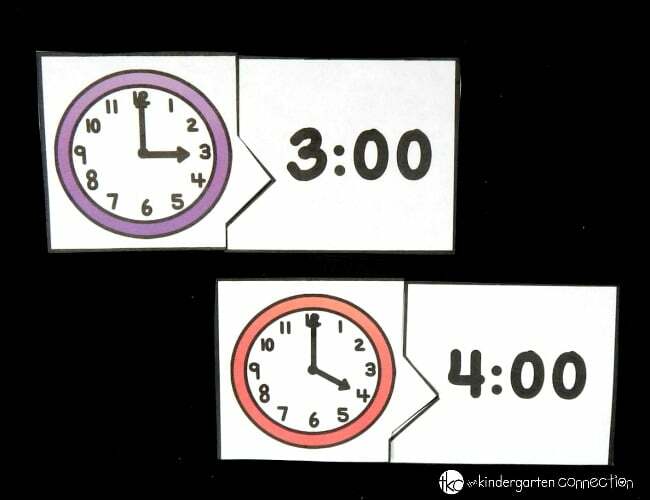 Now days we seem to tell time by our cell phones or digital clocks most often, but it’s still super important that kids know how to read analog clocks too! 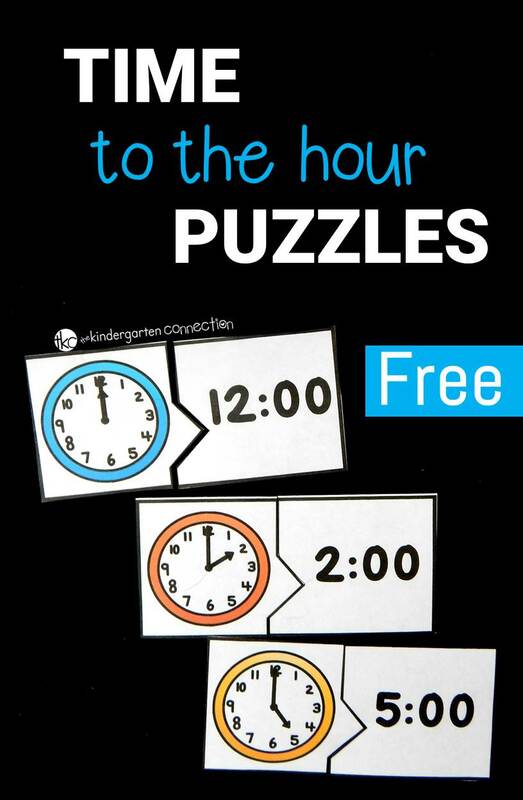 These time to the hour puzzles are perfect for introducing analog clocks to kids in a fun, hands on way. Plus, they are easy to prep and can be used over and over again! Getting the puzzles prepared is a snap! Simply print the download (below) and cut on the black lines to form the pieces. 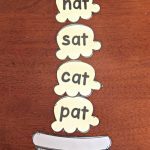 I love that these puzzles have easy cut pieces, and are simple for kids to place in pairs too! I laminated the puzzle cards because I use them in math centers and want to save them for next year too! After cutting all the cards apart, I spread them out on the table so that the kids can see the pieces. The analog clocks were in a pile and the digital times in another. You could also mix them all up or put them in a basket – it’s really up to you! They grabbed a clock first and read the time, then looked for it’s digital match. That was the trickier option as they really have to read the clock carefully. For a bit lighter/easier option, you could have them grab a digital time first, as that helps them go into searching the analog clocks with a hint of what they are looking for. Ready to match analog and digital times? 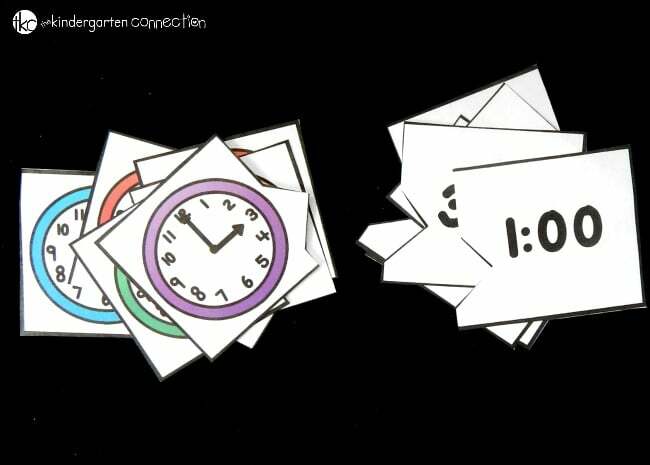 Grab your time to the hour puzzles HERE! Then, hop over and check out more of our math activities!